I truly appreciate the importance of your big day and how special that moment is, when you promise yourselves to one another. 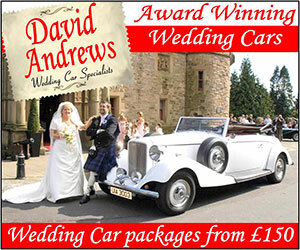 I would love to be there to enhance your vows and your ceremony. My aim is to help make the wedding ceremony a moving, meaningful and memorable event for you, the special couple, your family and friends. 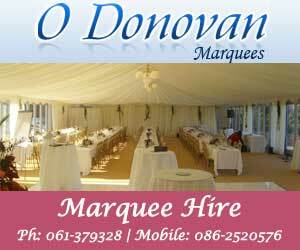 Margaret is one of the most sought after singers for weddings in Ireland. The rich and haunting tone of her voice has been likened to Maire Brennan of Clannad, Enya and Karen Carpenter. Margaret has worked with many of Ireland's leading entertainers including Sinead O'Connor, The Chieftains, Luka Bloom, Sharon Shannon, Paul Harrington, Kieran Goss, Brian Kennedy, Tommy Fleming and Noel V. Ginnity to name but a few. She has toured extensively in America, Japan and Europe with Ragus the Irish music and dance show. She is in constant demand as a session singer and has featured on many recordings including The Contender (Tommy Fleming), Bling When Ur Minging (Dustin the Turkey) and her own solo album project called Sheoda which achieved massive sales in the Far East with songs from this album featuring on many compilations including “A Womans Heart 2.” Her voice was also used for the promotion of the hit musical “The Ha’penny Bridge” in 2005 and “Seagulls Dance” in 2006. She was also chosen as the female voice for “The Right Note” a new an innovative series of primary school music books released by Folens in 2007. This year Margaret was invited by Fr Pat Rogers to be part of the Together.ie box set of wedding music CDs which was released in January. Margaret is presently appearing as soloist in the world renowned Burlington Irish Cabaret and is also presently the Cantor in St Francis Xavier Church, Gardiner Street, Dublin. She welcomes you to come along on Sunday mornings at 11am if you would like to meet her and hear her sing live in a church setting. Seamus hails from Co. Sligo and has been involved in Music since the age of eight. He studied Piano under the tuition of Fr. Frank Mc Namara in St. Finian's College, Mullingar and subsequently in UCD and Trinity College Dublin. Having spent a number of years as a Lecturer and Post Primary teacher, he decided to pursue a full time career in Music. As an experienced wedding singer, I can give you advice on all aspects of your ceremony from its overall structure to where your music best fits. And of course, I can help you with your choice of music. I work with a core group of quality musicians as I like to be sure of the sound I am going to produce at your wedding. I feel the only way to do this is to perform with musicians of the highest possible standard. I also like to use my own sound system as systems in different churches can vary dramatically and more usually are not that good! "i am looking for a wedding musician i want to find romantic music for my wedding i want to book live music for my reception venue i want to book a church singer for my wedding"